The Sewing Room Blog - Clarifying my Vision - What the heck am I going to sew? The Vision Board class with Heidi last weekend was highly informative for me. I made two vision boards - 1 overall VISION for my life and 1 VISION BOARD for my business. Plus, I ended up making two "Mood Boards" for things I want to work on over the next couple of months. A vision board is a visual representation of how I want my life to look, my VISION for my life and/or business. This is a very Broad viewpoint and it encompasses many different aspects and it helps me to see the BIG PICTURE. A mood board is a visual representation of an IDEA with lots of representation to draw from. The mood boards I created were for two things I really want to do in the immediate future. I have these boards to look at, as reference, while I CREATE. 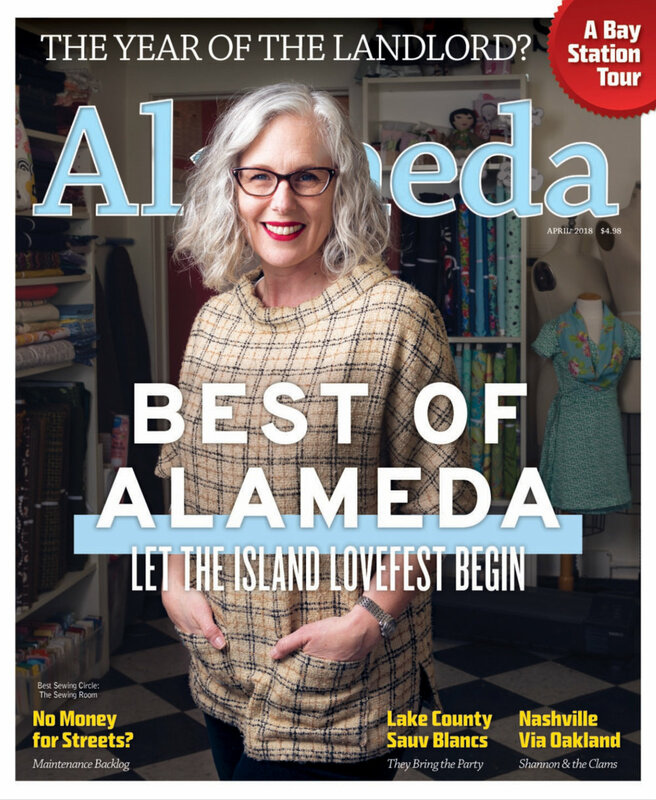 I’m located in Alameda in a beautiful, serene and highly VISIBLE space with enough room to teach sewing and pattern making classes and also sell sewing machines and dress forms. We will sell our favorite tools, patterns and services. The Sewing Room will be VERY PROFITABLE. I function as a MENTOR to my students, building their confidence and helping them become better Sewists and Designers. I also give my students, unique fashion opportunities and experiences, like fashion shows and field trips to museums. The Sewing Room will participate in several fashion, craft or girl-centered festivals like Craftcation, The World Wide Women’s Girl’s Festival and also Alameda Fashion Week. We will have presence as both participants, contributors and vendors. The Sewing Room is a vital resource for sewing and fashion enthusiasts of all ages. Clients and media see us as experts in Fashion Education for Kids and as a highly regarded resource for Adult Sewing Enthusiasts. My Days are spent making my own clothes, teaching students and having fun with my family and friends. I will have plenty of time for gardening and other self care. I will also have the time and resources to travel to Iceland as well as Europe. I will go to costume events like The Gatsby Summer Afternoon, The Dicken’s Faire and the Art Deco Preservation Ball. I will dress like “Miss Fisher”. I’ll walk 20 miles a week and keep myself healthy by eating food that is good for me and that makes me feel good, keeping me fit and fabulous. 1) Building a wardrobe for myself that is inspired by Miss Fisher's Murder Mystery's. I have lots of costume events to attend this year. 2) Finishing my Chanel Jacket (I MUST finish this UFO). 3) Make an Art Deco Preservation Ball Gown and an outfit for the Gatsby Summer Afternoon as well. 4) Make a "Roaring 20's" hat for the Hats off to Strong, Smart & Bold Women who Dare fundraiser for Girl's Inc. in March. 5) Continue to finish additional UFOs - My Fushia Sweater, for one and some additional pieces to go with it. I purchased some beautiful cotton jersey from Alabama Chainin from which I'll make an appliqued skirt in the Alabama Chainin Style. This list goes on, but this is just a taste. I would love to know what YOU'VEgot planned for this glorious NEW YEAR. Please email me or comment on the blog. I Love to hear from my readers. And if you are interested in Heidi's Vibrant Vision Workshop, she's holding it again, at The Sewing Room on Monday, February 13th from 10am-1pm. Click Here to Register.